Our home sits on a large lot on the shores of Lake Champlain. The 2 level deck provides the perfect spot for relaxing and enjoying the sunset while enjoying views of the Lake and Mountains. The ground level of the deck is off the dining/living room, and the second level is off the master bedroom. Kitchen was recently updated with top quality stainless steel appliances. This home has a large lot with plenty of room for children to play. There is a wonderful variety of restaurants, quaint Vermont towns, historical sites, hiking and biking, and other activities for you to enjoy in this area. Enjoy the beautiful foliage that Vermont is famous for, or come spend a winter holiday with your family in this idillic setting. Thank you for sharing your house. The house is wonderful. I was a little concerned when I saw how close the neighbors were only because I had my little dog with us. The yard worked out fine. All was great with our dog! We really never even saw the neighbors. The pool was really a big plus we had our grandson with us and this gave him something to do when he was bored. We have family in Bristol and the drive to Bristol was not bad at all. We had a cook out with family members, plenty of room outside for the family, kids in the pool. Was really wonderful to sit down by the lake. I hope you will be renting your house next August I we will be renting Your house again!! Thank You!!!! Thank you so much for your kind words! I am so glad that you had an enjoyable time at our home and we will look forward to hosting you again next year!!! We rented this home for a girls weekend. We are former volleyball teammates that have been meeting up (in a new state) every July for the past 15 years. This year the chosen state was Vermont. We had girls fly into both Burlington and Manchester Airport to meet up. We could not have been happier with this house and the ease of communication with the owner. The property and house is very nicely maintained, and the pool was such a nice added bonus. Waking up every morning and bringing my coffee to sit down by the lake was a highlight of my trip. We were able to explore (walk) to New York on the bridge separating Vermont and New York, hike Snake Mountain, and have a nice dinner out in Middlebury. If we could we would repeat the state of Vermont and stay at this property again. It fit us all nicely and the set up was ideal. I love reading other people's reviews when considering a property and I can't say enough good things about our stay here. Thank you Heather for sharing your property with us and making another memorable weekend for all my former teammates. Thank you very much for your kind words! I am so glad you enjoyed your time in our home! I also think it is wonderful that you and your teammates make these weekends happen... I hope you enjoy the rest of your summer. Our family of 7 thoroughly enjoyed our stay at Algonquin House. Plenty of room for all of us . The home is impeccably clean and nicely appointed ( loved the photos throughout the house). During our stay it was hot and muggy so we enjoyed the a/c ( especially the a/c in the upstairs master, as the other upstairs bedrooms were really quite warm). We loved having meals on the deck with the lake view( very comfortable seating on the deck). The kids enjoyed the pool immensely. Plenty of yard for kids to run around and play games. The neighborhood is very quiet, the only traffic is from neighbors (NO road traffic as the house is on a cul de sac).We have been visiting Lake Champlain for 4 generations and believe we have found our new vacation home. We definitely will be back. Excellent lake house. Air conditioning was welcome given the very warm weather. Well provisioned kitchen. Pool was great in the heat. No complaints or issues at all. We are so glad that you enjoyed our house! We just put in the heat pump that acts as an ac unit and heat unit. So glad that you found it enjoyable! Please keep us in mind if you plan to be back in our area! Great place right on the lake with a pool in the backyard. An osprey family was nearby providing entertainment. We had a lovely time and the house was jist right. Heather was responsive with questions. I would stay here again. Three generations, including a 3 year-old grandson, three 30-somethings and us grandparents all had an absolutely wonderful time at this vacation spot. 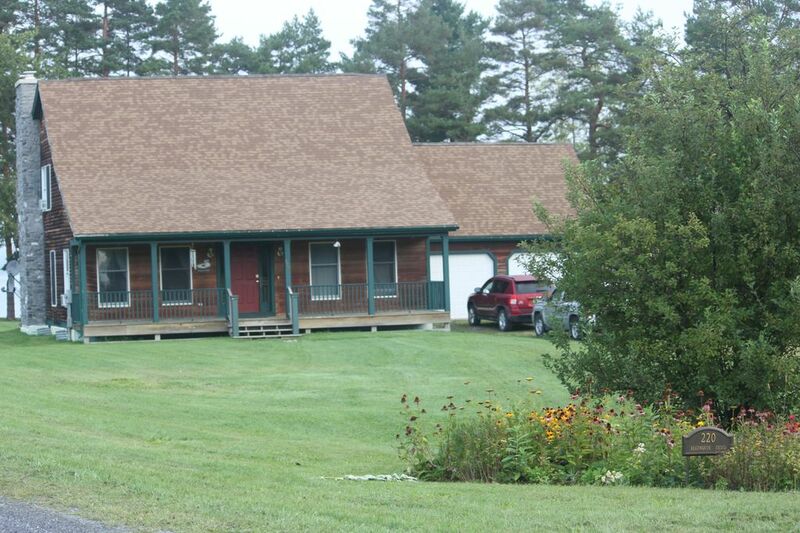 It truly is a charming home with plenty of space inside and out, right on the lake. The views are spectacular, and the house has everything you need. From the moment we arrived, everyone just relaxed and unwound. We spent most of our time just hanging out, lounging by the pool and playing games outside, but we also took some day trips to taste wines at local vineyards and to shop in Burlington. The stars at night are breathtaking. Our home is located 20 minutes from Middlebury College and 45- 60 minutes from UVM and other Burlington colleges. If you choose to use a credit card then there will be a 3% transaction fee added to the cost of the entire rental. Rates are subject to change until contract has been signed.